Bankruptcy is not your only option. A consumer proposal may be a better choice. At Hoyes, Michalos & Associates Licensed Insolvency Trustees we believe you should explore all of your available debt relief alternatives. That means we will explain not only bankruptcy, but debt consolidation, credit counselling and consumer proposals. We know no one solution works for everyone. At your free, confidential assessment we will help you decide which solution will help you solve your debt problems. Our North York office team includes Benny Mendlowitz, a Licensed Insolvency Trustee, and Janette Martin, a Personal Estate Manager. Both have many years of experience helping clients develop individually tailored plans to help them get out of debt. After meeting with Benny or Janette, clients breathe a sigh of relief knowing they have developed a plan that will put them on the road to debt freedom. 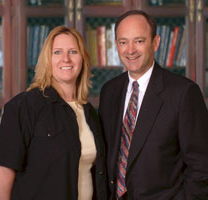 Our friendly respectful advisors have the experience to help you eliminate your debt. Paid parking space is available below and above ground, as well as in adjacent parking lots within easy walking distance.